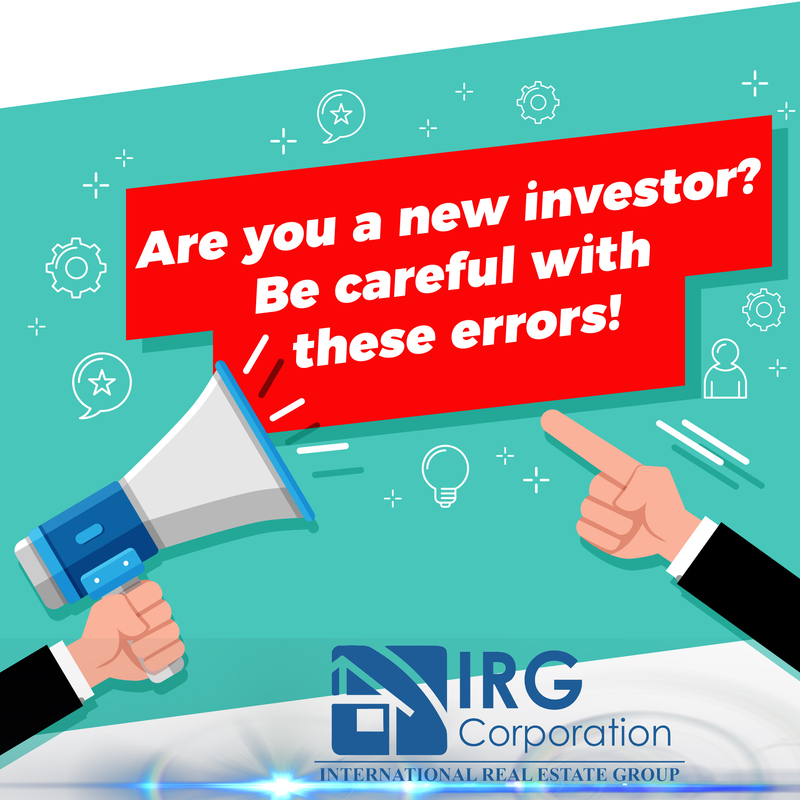 The investment in real estate should be one of the best ways to use your money in the market, but in order to have the benefits that this can give you, great care must be taken to avoid committing the typical mistakes that investors make to the market. time to take your first steps taking you to situations in which nobody would like to be. Not knowing where you are standing or how things are handled in the market where you will make the next investment can be fatal. Find out how properties are valued in the place, which are comparable, which benefits are within that market niche can allow you to estimate future results. Rushing in money matters is always a mistake because the trouble can cloud your sight and can lead you to make mistakes that can be fatal for your investment. Arming yourself with patience when investing will help you make better decisions and observe the full picture of the situation in which you find yourself. Expecting too much can lead to a great disappointment, for this, being realistic will save you from bad moments within the real estate. Be honest with yourself and seek to do what you can really do to avoid encountering situations that you can not imagine or know how to handle. You have to learn to manage the money you have because only then you can make the right moves to get the expected benefits. Spending too much money on things you may not know how they work can lead to large losses that could easily be avoided. It is essential to know what is being done and in what ways it can be done in order to understand the path you take avoiding any mistakes. You must study the investment, the market, the places and the strategies to be able to get the one that best suits you. Nobody is oblivious to mistakes in certain moments of life, even the most prepared have encountered errors that have had to overcome showing that despite the obstacles, you should always go ahead in this way to achieve the successes that both you are searching.